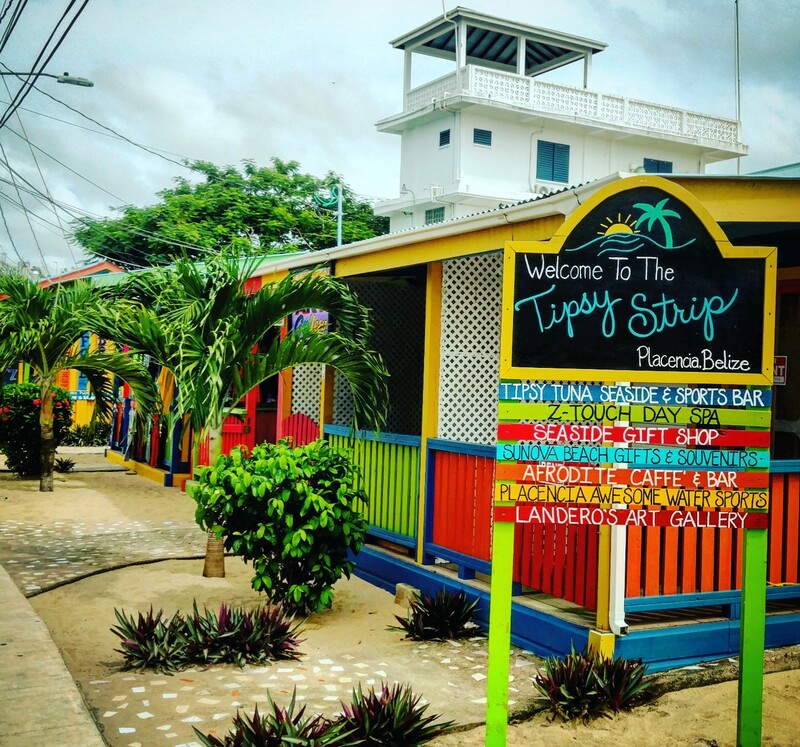 Quick guide to the most helpful links about visiting or living in Belize! 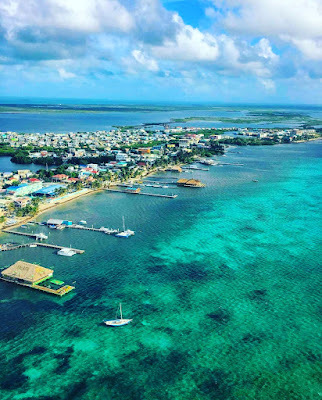 We get a lot of the same questions from people coming to Belize, either for a vacation or to check it out as a potential place to move. I find that I send the same links over and over, so I thought I'd put them all in one place! 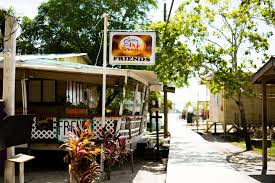 Coming to San Pedro, Ambergris Caye or Placencia - but you are Vegan - Vegetarian - Low Carb? 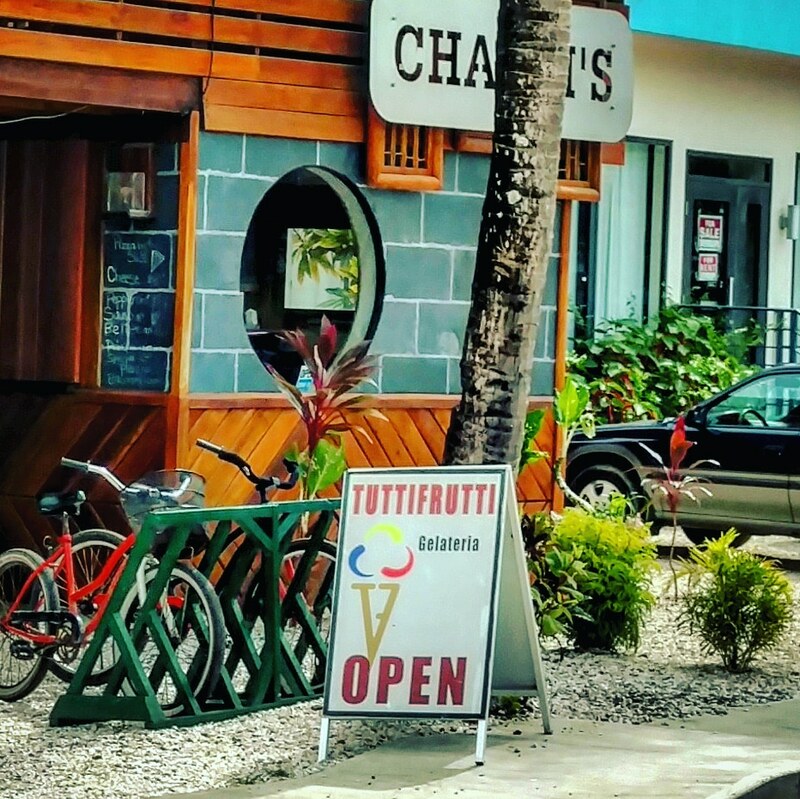 Here's where to go for special dietary needs! I think that 8+ years ago, this blog would have been pretty unthinkable in places like Placencia, maybe not so much in Ambergris Caye, but definitely elsewhere in the country. 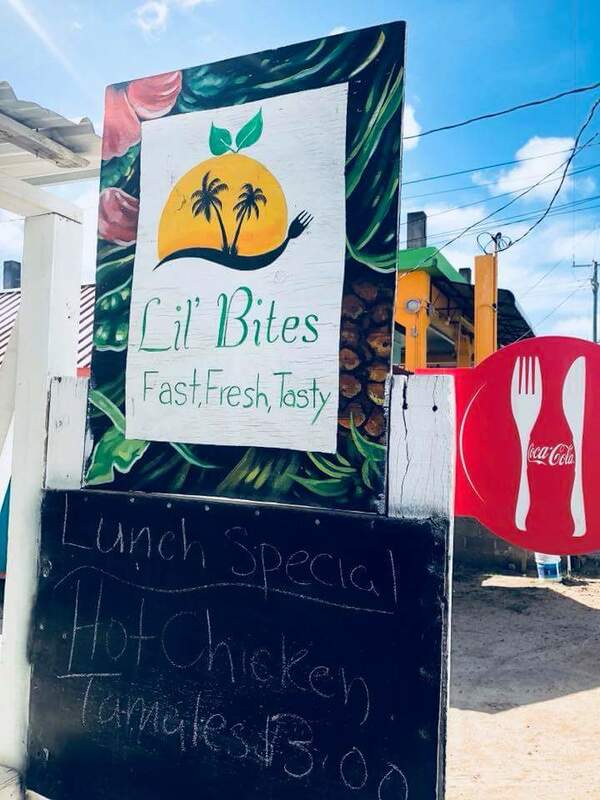 There really are not things like Vegan, Vegetarian, or Low Carb in the local Belize culture...the national dish is chicken, rice, and beans, and tortillas/carbs with meat protein are everywhere. You couldn't even order a soup with these restrictions as the soups are all usually bone-broth based, and then additionally are served with rice, so not a win there for either party. Many guests tell us when they have tried to order vegan at some local spots it has not translated well (veggies may be cooked in butter, etc). 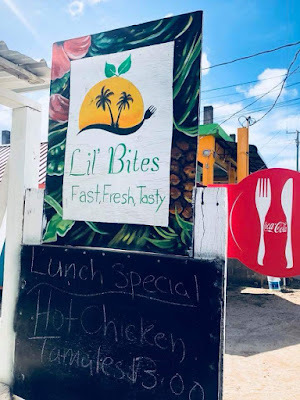 It is no secret that the restaurant and food options have exploded in Belize, and there have been many North Americans who have moved to Belize to start businesses that have brought more of the North American diet trends down. Rick's Cafe - The Vegan Salad is worth coming to Belize for. 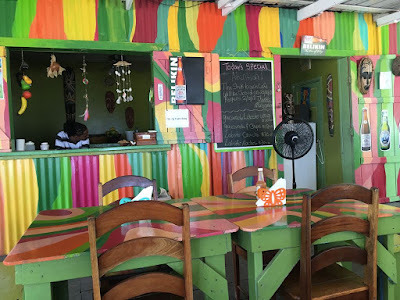 This blogger already made a great post with several towns in Belize, and what she ordered: Anna Wildman Belize Vegan Eats She does a great job explaining why it is hard to order - and you do want to be careful about what the curries and rice are cooked in. **I do follow this diet myself so I know how hard it is here. I started a Pinterest page for living in Belize and eating Low Carb - you can follow it HERE. I only include ingredients that I know you can get here. While you technically CAN eat low carb anywhere, just order a grilled chicken breast or salad (salads are rare and not great here, and it can get boring! ), these are places where I had a better/easier experience. You almost can't eat at most stands or BBQ places - the sauce is full of sugar :(. Soups are typically not low carb at all, either. Sugar is also added to a lot of stuff - even cole slaw. Wende's - Great fresh fish with good veg side options. Cozy Corner - Another great local fish with good, substantial veg sides. Rick's - He has a vegan salad that I add chicken to - it's outstanding! Merl's Cafe - They make actual low-carb treats like muffins!!! First time I have ever seen this in Belize. Dolce Vita - They have awesome portions and you can do a veg or salad on the side, totally huge, great, filling. Rumfish, De'tatch, or Secret Garden - These places are great for special protein options, and will let you sub veg for the side. The Shak - Omelette with meat side - yum. Rotisserie chicken from Sidewinders - Easy and predictable! Hungry Grouper - I had a great experience with the protein and veg options for sides - generous portions/many options. ***I plan to keep this as a live document so please reach out to me if I missed any good ones!! It's getting hard to keep up with all the new stuff opening up in Belize! 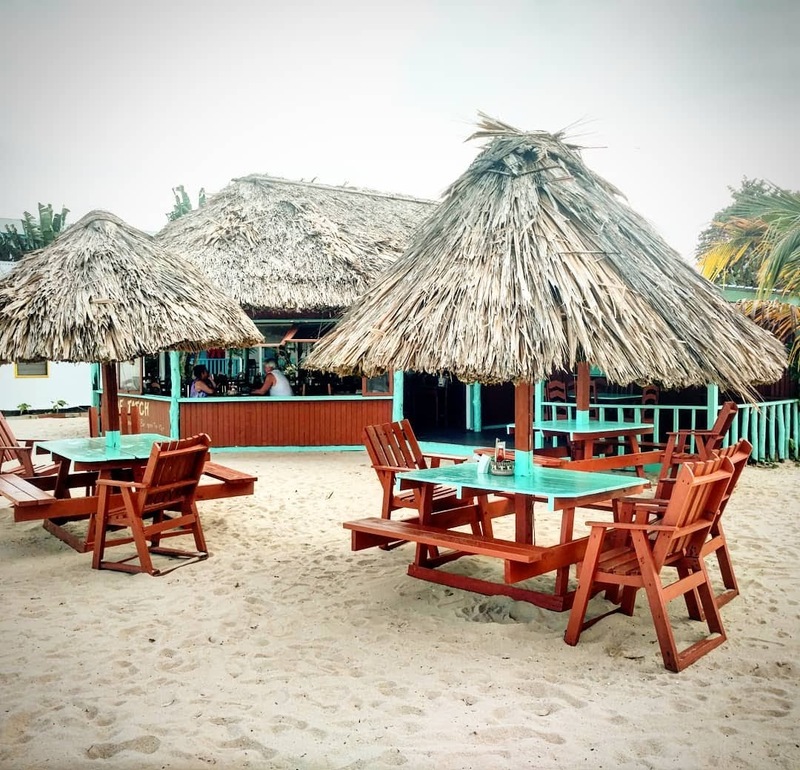 With two locations in Belize now, San Pedro and Placencia, our team has really had our eyes opened to how much new stuff happens and/or opens each season. 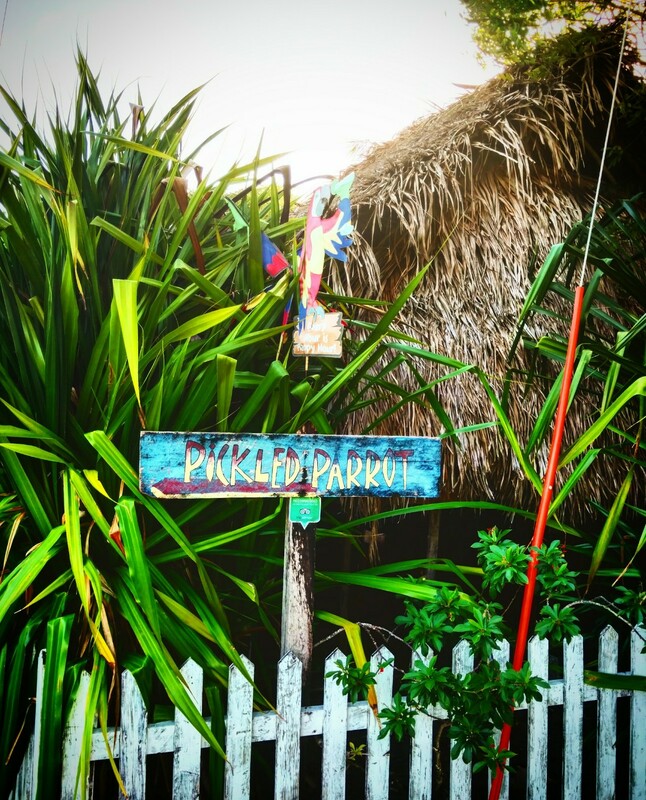 There are a lot of very smart/hardworking locals, or people who come to Belize, with good intentions. They see unmet needs, and many of them are successful in filling these. 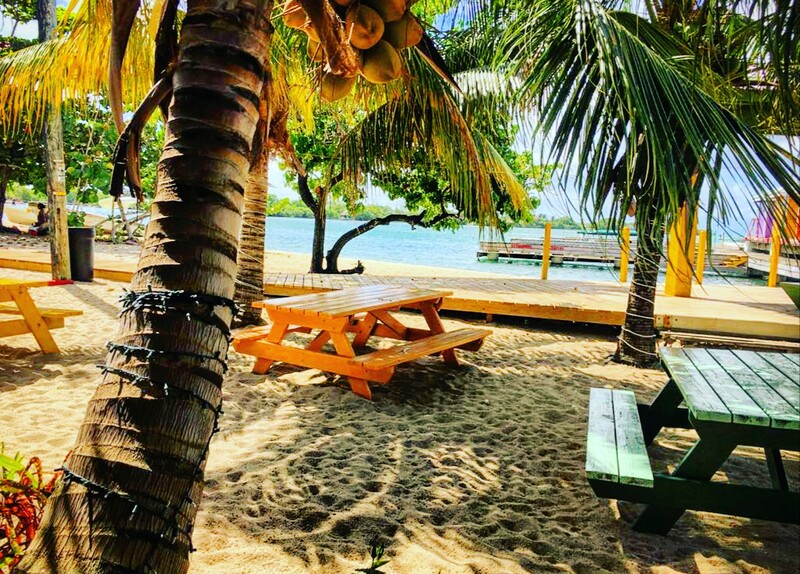 While we wish every great new place would stick around forever - and many great ones do - we will try to keep you updated, on the very best experiences you can have while you are here!! Tranquilo - Tranquilo broke our hearts when it closed a couple years ago - it happens, but we all crossed our fingers that it would open again soon. YAY! It opened back up this month, better than ever! We are so thrilled that our guests get to experience taking a little boat over to Placencia Caye to watch the sunset - it is such a simple yet memorable and unique experience. Placencia Beach Club - another heartbreaker was Fusion Beach - a super popular, Miami Beach-style club that was a go-to for an afternoon on your vacation here. The open air concept, modern feel, great infinity pool and location were all perfect. We were all worried as it sat vacant for the last year or so....until now! It is not open yet, but it looks like there are super committed and energetic new owners -who look like they are doing all the right things. We will definitely be there opening day to support you! Yay! Little Wine Bar - Ah, not brand new - but for returning visitors who haven't been here in a while - this is a can't miss. Between Jana's warmth, artistic talent, and hospitality - & wine knowledge - & the coziness of this place - you'll find yourself there before dinner every night :). 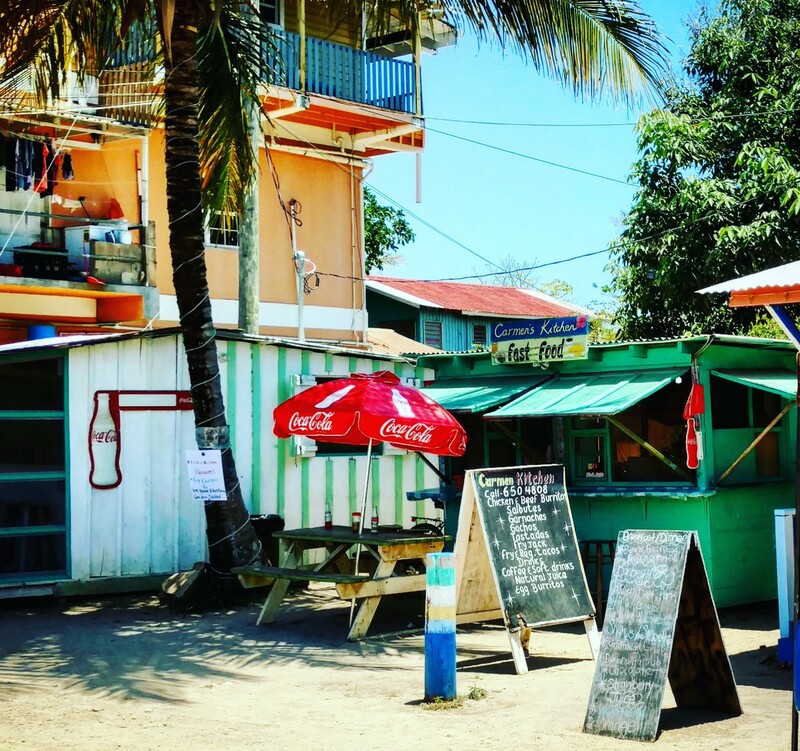 Mon's Kitchen (Old Brenda's :( ) - A huge part of the Placencia experience for many visitors was seeing Brenda down at the pier. The village lost this legend this year, but her daughter Mon has picked up the torch and you can visit her in the same spot!!! Mariposa Breezeway Beach Bar - Mariposa has quietly grown and grown over the last many years, with great owners Bruce and Sharon. They are adding some super fun things - & they allow outside visitors to use their pool. Recently, they added this Pool Bar to make it an even more appealing place to spend an afternoon!!! 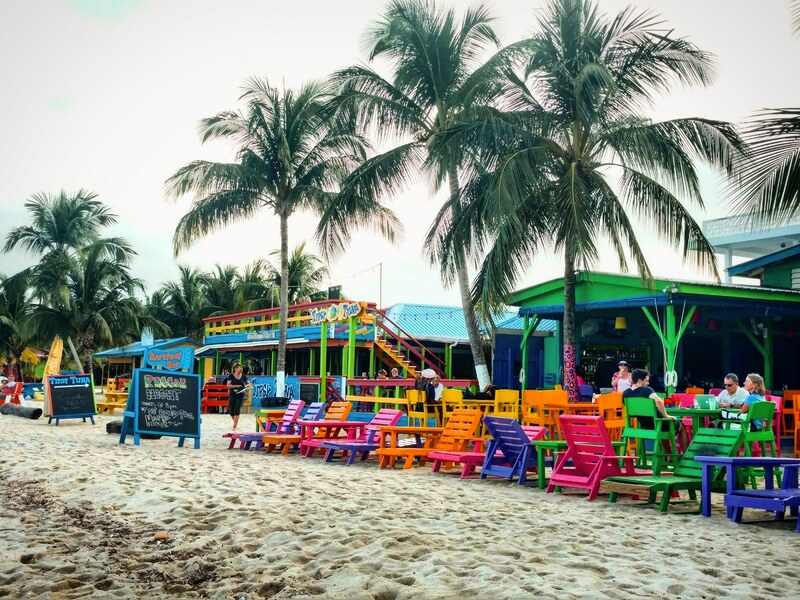 Mango's in Maya Beach is currently closed - fingers crossed there is a new owner soon because this is a well-loved and very needed place! Mademoiselle French Bakery - plus Bistro seating outside Afrodite - if you have walked the Placencia sidewalk, picture the new line of Tipsy Shops, where Afrodite Cafe is - arguably the new heart of the village. So recently, there is a new pergola, bistro seating, and a freakin' French bakery opening there!! It is an amazing change and the perfect use for that space. It is still a bit of a work in progress, but so close - if it were me I'd schedule a whole afternoon to just plop down right there and people watch. I'm not seeing the new bakery online yet but have seen some pics of the food - wow. Pics to come. 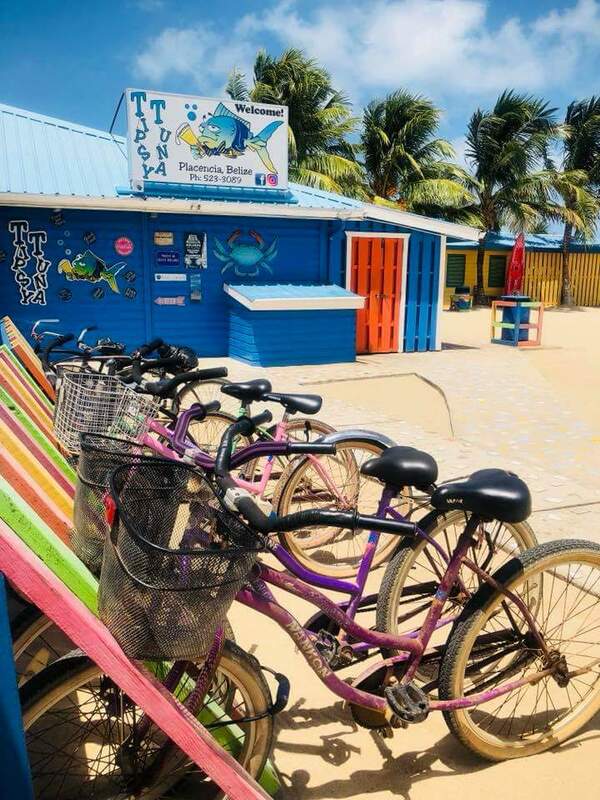 Placencia E-Bikes - this lil' village is just getting super trendy. Check out this new option for getting around - combine a bike and a golf cart and you get...E-Bike! Pyramid House - Ok, also not brand spankin' new but a newer addition. 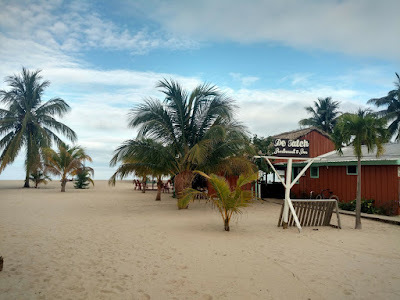 There was so much moaning about the lack of wine bars in Placencia that two opened this year - and frankly, people don't know what to do with themselves. This one has amazing views and great reviews - a must do! Potliquors - This IS brand spankin' new up in Maya Beach. Super cute name (that's the local name for the beach dogs...with a twist.....) Lagoon front sunset beach bar, super Maya Beach location....super tranquil! We hear that a new massage studio by the point, called Numada Holistic Massage and Spa, will be opening, along with an herbal cafe -- opening in the next couple of months. 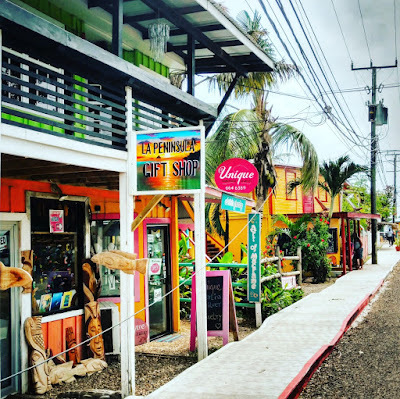 In Ambergris Caye, (Placencia has about 1/3 the population for perspective)....there is ALWAYS a ton going on and changing....it makes your head spin. K's Diner - "South your Mouth" - This one, I DO happen to know the owner and she is totally sassy and so is this place. Perfect concept, perfect location - and it looks so adorable everyone is chomping at the bit to south their mouth. 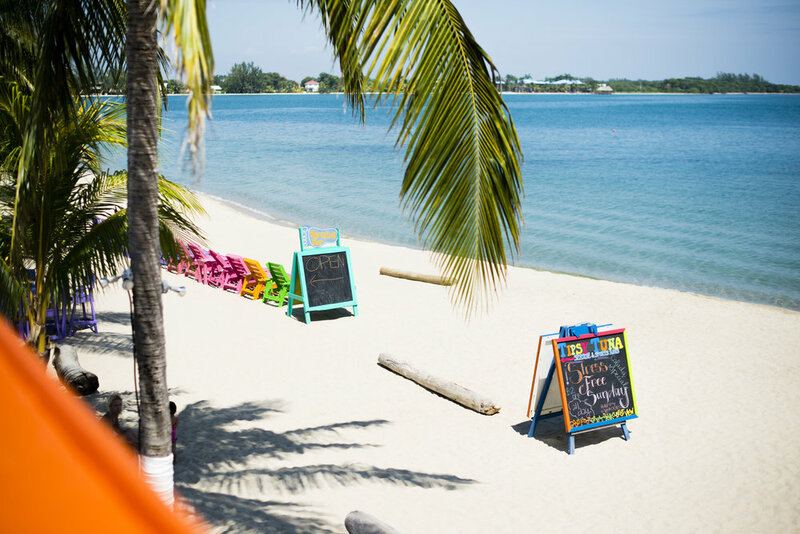 If you combine the tropics, plus 50's diner, plus southern food, which we all know is the best = we all win. From their Facebook page - super charming!!! 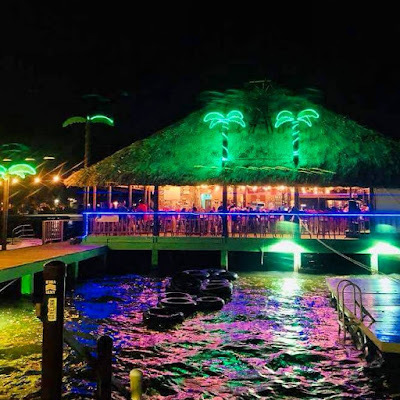 Sunset Lounge - this bar on top of Sancas' Plaza recently opened - just put it in your must do list. Everything about it is perfect - location, views, style, atmosphere, drinks. You do have do walk up several flights of stairs (and then back down, so don't get too sloppy). You can drop your kids off at Kidtopia in the same plaza, or stop for a workout beforehand at the gym in the floor beneath....orrrr.....just go straight to the bar. French Kiss at Sunset (French) Restaurant - this adorable place also opened recently - there were so many cute photos I couldn't pick which one....but definitely put this on your list. French food plus totally creative atmosphere = you are not at your local Applebee's. Losers - OK, so this place got a rough start being the first official "chain" bar on the island, this is the "Losers" out of Nashville. However - they did bring in a ton of new people who never would have checked out Belize, as they have their own following....and the place is pretty darn adorable. While you won't pry a lot of hands away from Palapa Bar and Wayo's, at least give it a shot, but, my one complaint - I personally got kicked out for bringing my dog in. Since I don't go many places without him, I have to watch from the shore for now. A lot of people are saying nice things though! Aqua - New restaurant at Grand Caribe - word is the sushi is awesome. You can't beat the view and atmosphere!! Bon Appetit - All you can eat meat? French Belizean Steakhouse? 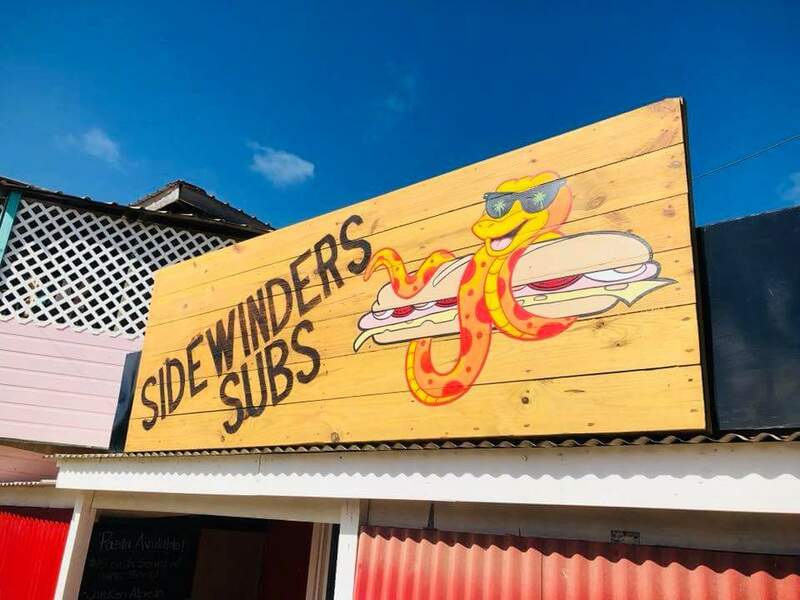 This is a brand new restaurant, and, as you can see, super unique....plus great views and atmosphere! Authentic Ramen coming to the Poco Loco Food Court in Town - Ramen 501!! Super exciting! Boogie's and Maxi's also reopened in the heart of San Pedro to major cheers :) Go to Maxi's for the excellent people watching and small plates....and check out Boogie's for their legendary meat pies! Runner's Up to keep an eye on......word on the street is that there is a super cool-looking new Daiquiri Bar opening across from Truck Stop --along with a raw juice, iced juices, hot and cold herbal tea shop....and we also hear that the old Palapa Bar/Tiki Maya is being renovated into RumDog.....will keep you posted on these!! (Both north of the bridge.) There is a new ice cream and snack stand opening near Melt called Sandy Dawg. Also, Belikin Beer will be opening a new store right by the airport! More on all these new businesses in the near future! In other hot news, Margaritaville is starting a new round of groans by opening in 2020 about 10 miles north of the bridge. They are taking over a previously unfinished site and turning into a Jimmy Buffet wonderland....like all huge new projects, it has a lot of eyes/thoughts on it, and everyone wants to see that it is done properly, eco-friendly, and with local support. No doubt we will all be hearing a lot about this, chains are slowly being introduced to the island and with that, comes worry about losing the vibe that brings people here again and again. ***This blog inspired our team at PUR to start a new Facebook Page called San Pedro Fun Finder - This Week's Events. 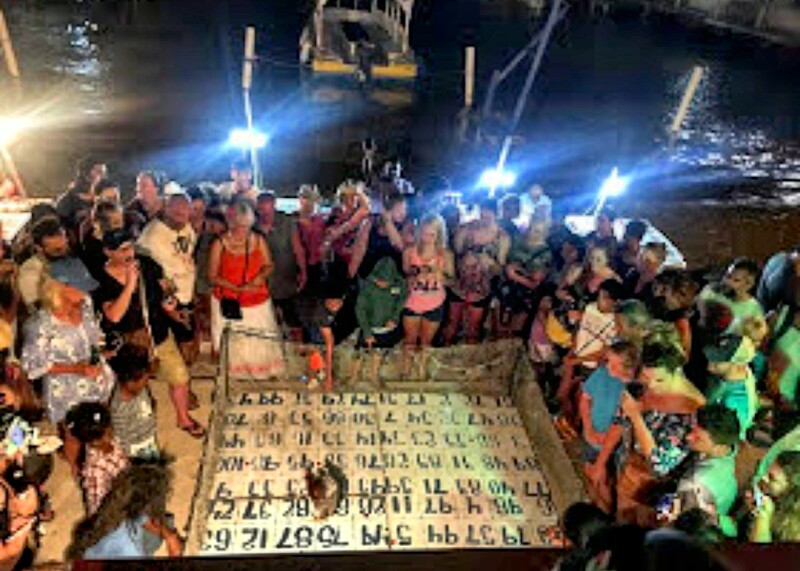 It is a lot of work as it needs to be constantly updated with all the new events, old events, and new openings on the island - but worth it as right now, this is the only live feed you can go to to get the latest up-to-date information when you come to the island. ***As always, please let me know if I have left anyone off! Guest Blog - A quick adventure in Cayo - Bird Sanctuary, Rock Farm Guesthouse, and more! 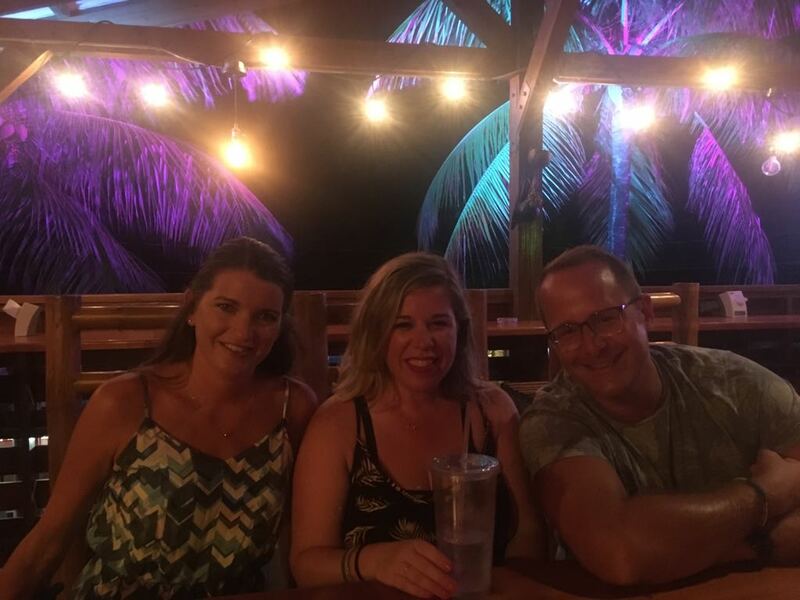 Sue and Carlos are well known to our past guests, they occasionally will take side trips to check out other parts of Belize. 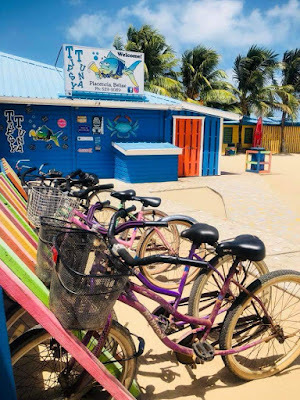 Sue had one of these adventures last week in Cayo, and was kind enough to do a write up and pictures of your trip! 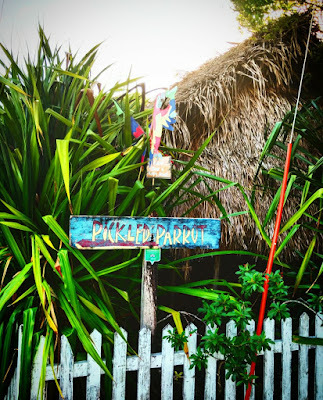 Side note, a lot of people who live here find they have to make trips to Belmopan for paperwork, licenses, etc - and this is a great reason to extend your time, since you are making the trip anyway, to visit one of the many amazing, rustic to luxury jungle resorts. 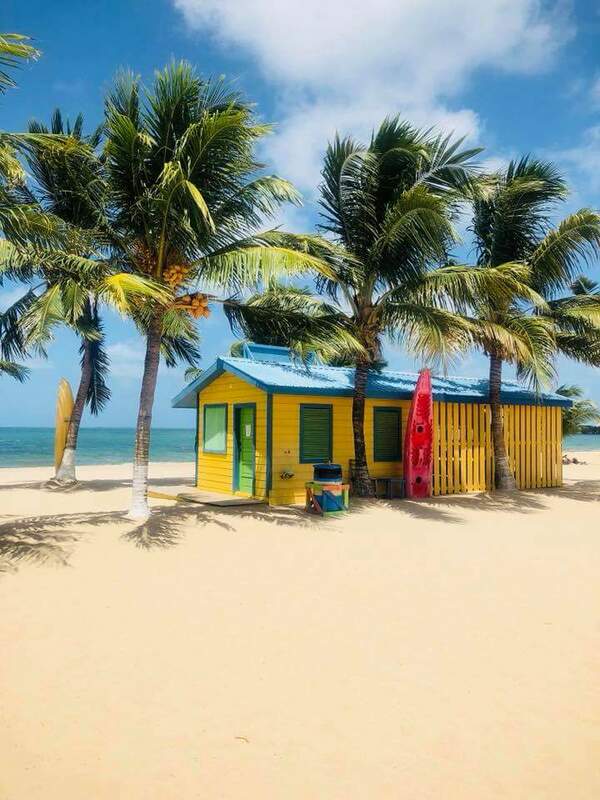 You can find a huge range of prices and experiences. 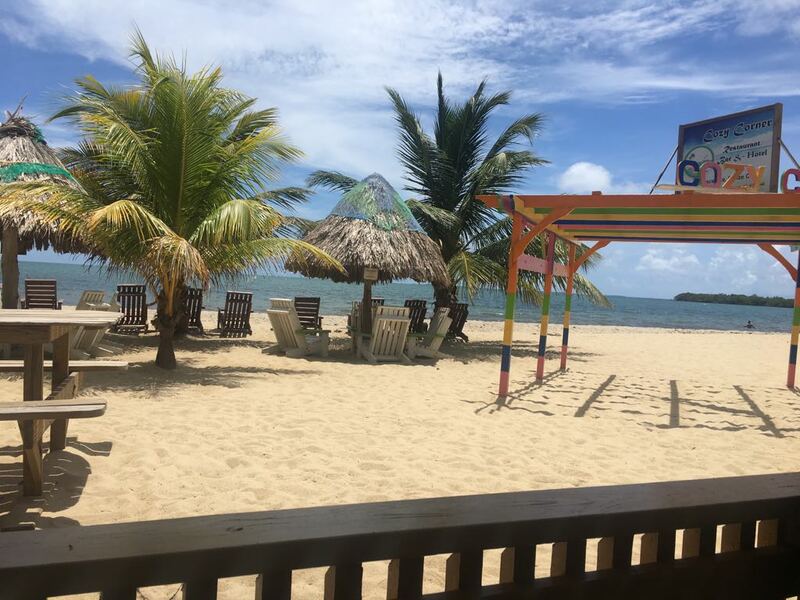 One of the perks of living in Belize, is that when we have a couple of days off we are able to enjoy other parts of this beautiful country. We needed to go to immigration in the capital city of Belmopan first. We spent one night at Rock Farm Guesthouse. 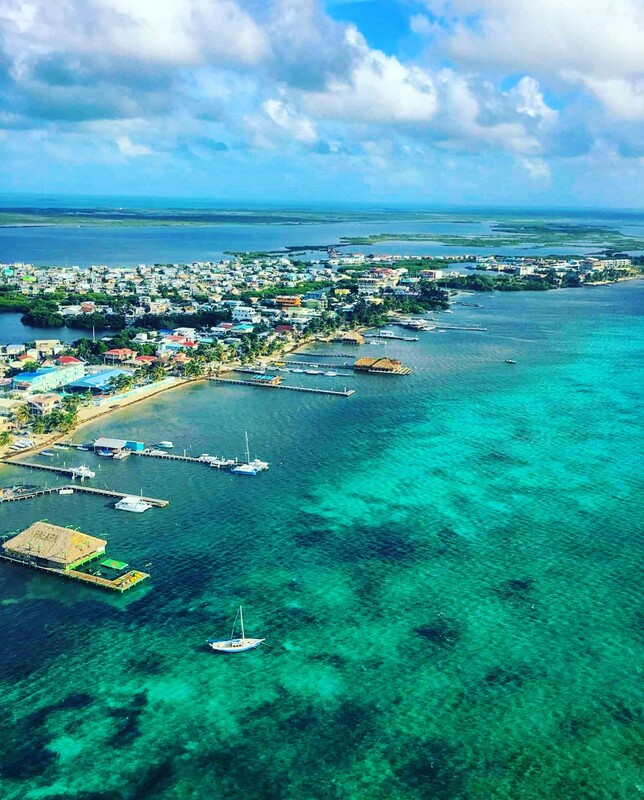 Which is also the home of Belize Bird Sanctuary. 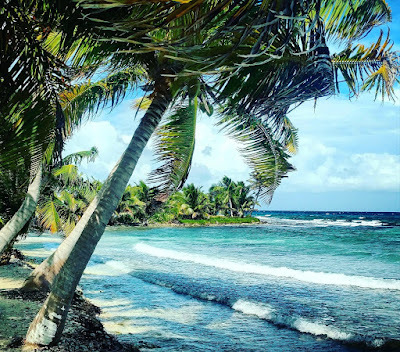 Only a 15 minute drive from Belmopan. It was the perfect place start. Having your coffee on the porch as the birds are starting their day is not only an amazing site, but the sounds they make are amazing to listen to. Sharing breakfast with a chachalaca. 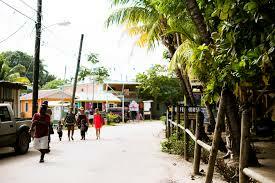 From there went headed to San Ignacio, a charming city in the hills of the Cayo district. We had a great time just relaxing by strolling down Burns Avenue where there is a nice pedistrian street with shops, bars and restaurants. Our final day we went on a wonderful pontoon waterfall tour with Jungle Splash Eco Tours. 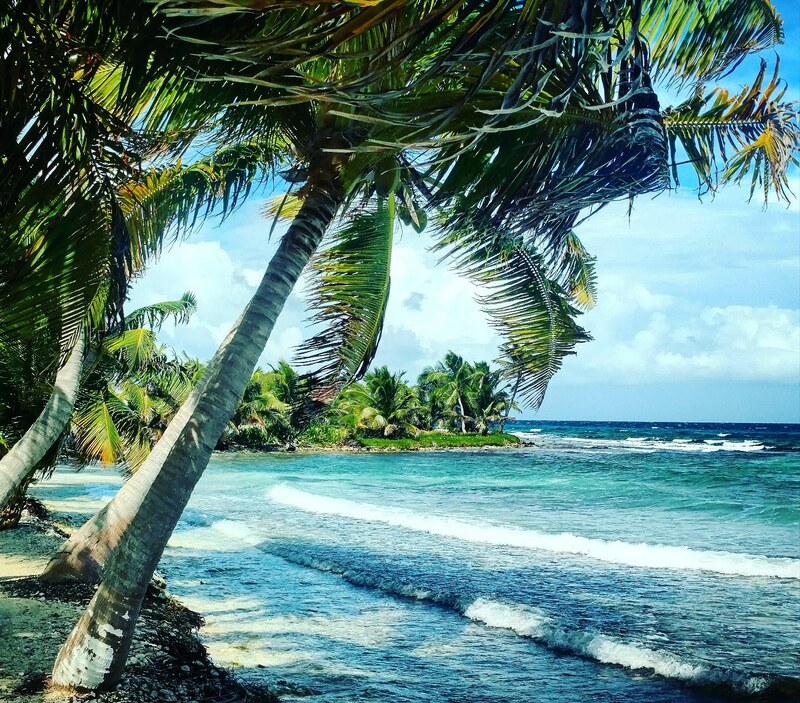 An amazing trip on the Macal River with stops to climb and swim in different waterfalls. Our pontoon, complete with a bbq grill for lunch on the river. We had a great time getting to know more of the country we live in and can’t wait to explore more in the future.